Applications are hereby invited from suitably qualified candidates for admission into the Joint Universities Preliminary Examinations Board (JUPEB) Programme for 2018/2019 session. 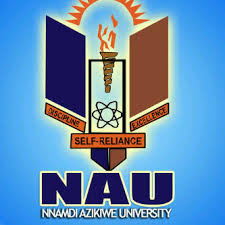 The programme leads to the award of JUPEB Certificate which enables candidates gain Direct Entry Admissions into NnamdiAzikiwe University, Awka and other JUPEB-affiliated Universities in Nigeria and Abroad. UNIZIK JUPEB Admission – Eligibility, Duration & Subject Combinations. ELIGIBILITY: Eligible candidates must possess minimum of Credit Level Pass at maximum of two (2) sittings in at least 5 subjects (inclusive of English Language) relevant to the candidate’s desired course of study in the University. DURATION: The duration of the programme is one academic session of two semesters. How to Obtain UNIZIK JUPEB Form. CLOSING DATE: Submission of online forms closes on Friday, 26th October, 2018 at 11.59 pm.